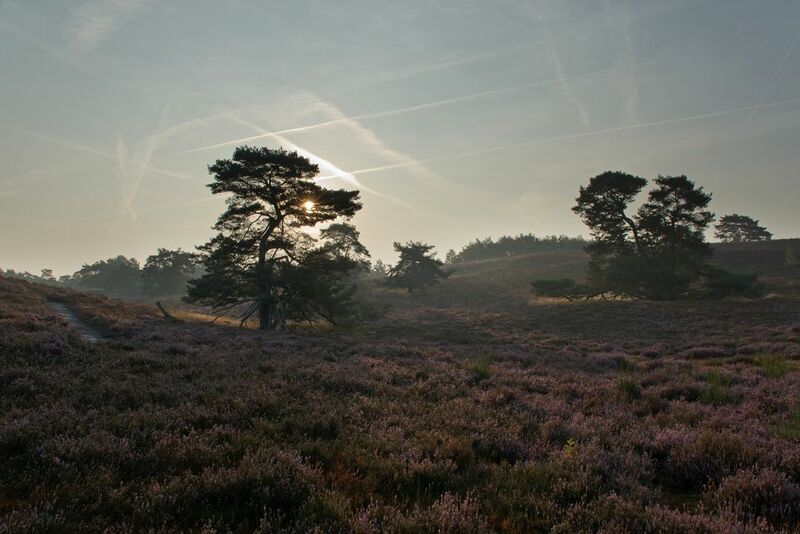 The image shows blooming heather in “Brunssummerheide”, The Netherlands, during sunrise. Heather is blooming only in late summer and it looks like a purple carpet on the ground. Date Uploaded: Oct. 29, 2018, 10:54 a.m.